For the past years, there are a growing number of injuries, accidents and deaths due to reversing vehicles. 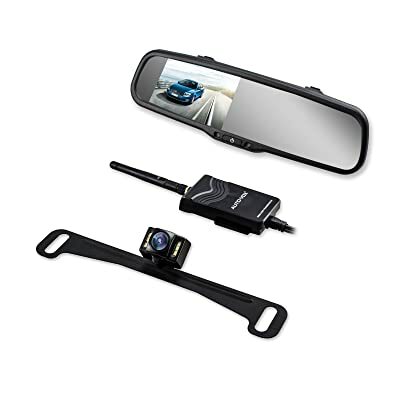 To resolve this issue, the government in the United States has made it mandatory to set up a backup or rear view camera system all forms of vehicle. In general, this device would help any drivers to see the blind spots accurately, thereby preventing any serious problems and protecting any people, vehicles around them. 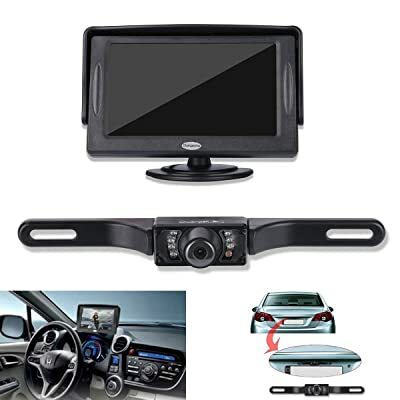 These days, there are a wide range of backup camera models in the market when it comes to method of connection, mirror mounting, used lenses, prices, warranty difference and so on. There is even a type of backup camera that would flip open when you put your car to the reverse gear. 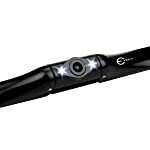 For those who do not plan to buy a new automobile or have one without a rear view camera, the good thing is that there are a wide range of good backup cameras that are made with really reasonable prices. In addition, you would not need to purchase it from a car dealer. 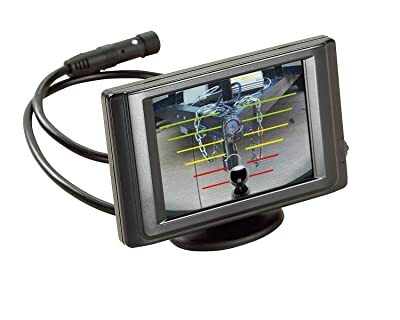 In fact, there are some aftermarket backup cameras which are provided with transmitter and display that could be installed simply by using a drill or screwdriver. In the 70s, most types of vehicle were made with square shapes and high “greenhouse” on the beltline, which offered a quite clear vision in all 4 corners. However, the designs of vehicle are basically different these days. The standards of roof strength mean that the B-pillar is more noticeable than it used to be. In addition, it is also more difficult to see out the back of a car even when you are turning around in a seat and having a look at the back window. As a result, a large number of people were killed by vehicles moving over them mainly because the drivers could not see anything through the side-view mirror. To solve this serious problem for car drivers, it is highly recommended or even compulsory to install a backup camera and monitor in all models of vehicle. As a result, it would help to reduce the number of deaths, injuries or accidents. In general, a backup camera is often small with wide angle, which is placed under the handle of cargo hatch or the trunk lid’s edge. It is connected with the stick shift and some types of monitor in the side-view mirror or the instrument panel. When a driver put the stick shift into reverse, regardless of automatic or manual transmission, the backup camera will turn on immediately and the screen will show the image which the camera would record. There is something that you need to think about when choosing a backup camera for your vehicle. The first and also the most important is weather condition. If you often drive the car through mud, dust, salt or heavy snow, this device could be blocked completely. Most models of backup camera is made with CMOS or CCD sensor. This feature would convert light into signal in 2 different methods: CMOS is mainly digital and CCD is generally analog. In general, a CCD device would use more power and is worse in low light than a CMOS one. However, a CCD device would be adapted better to deal with varying lighting conditions than a CMOS one. These variations would be incidental depending on the environmental conditions that you often drive your car. Like the competition between Android and iOS, whether CMOS or CCD sensor is better would be a controversial question. And in most situations, it seems not to be an important factor to decide which type of backup camera that you should buy. Many types of side-view camera are created with on-screen guidelines with the aim of helping the drivers when they squeeze into a confined area or back out of dangerous cases. In other words, these devices help you to measure the distance from the car to the object. If you do not want to have parking line feature, then remember to focus on the description of a backup camera. A couple of models might not allow this technology. In some devices, you would be able to get rid of this feature during setup process so that a driver could use the needed parking line function, which is made with several touchscreen receiver. As you could guess, the display in the monitor would be reversed to imitate this of a side-view mirror. However, this is an optional feature in a couple of models. In general, a backup camera would offer a nice horizontal angle of view, with some models even as wide as 180 degrees. An of course, the wider the angle, the more a driver would see behind him at glance. On some models of backup camera, you might notice a minimum rating of Lux. In general, this would indicate the least quantity of light that is necessary to get a good image. For example, the rate of sunny condition would be abound 10000 Lux, while the rate of a night in full moon would be abound 0.1 Lux. 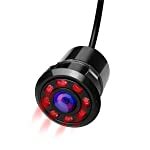 We have noticed some backup cameras which could provide a good image in a condition with the rate of just 0.1 Lux. In addition, a lot of models would improve the capability in low light with an infrared light or built-in LED light, which will turn on when you turn the car into reverse. 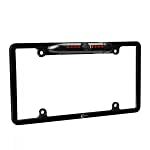 License plate mount: A couple of models would fit in a matching frame of license plate while the others would be used universally with the strap mounting, which would be fastened with the license plate by using the current screw. Lip Mount: If the back part of your vehicle is made with an area of inset, then it is highly likely that you are using a backup camera with lip mount. In general, this is more subtle than the above type. Bracket mount: This devices would take the most universal technique. In other words, it would offer an adaptable bracket which allows the driver to mount the backup camera to anywhere that fits. Car-specific mount: Some manufacturers provide the bracket which fits it or replaces the factory part for a perfect match with a car. In fact, this is a specialized device. Most options of mounting would be lip mount or license plate. Made for towing but suitable for frequent usage, the 50002 backup camera of Hopkins would improve the safety by offering the drivers with audible alert and visual cue when they are moving backwards. In addition, this device also makes the process of towing simpler as this task just needs only 1 person to align the trailer - hitch ball with the coupler. This camera model is made with a color monitor in 3.5 inches, which provides a fixed free picture. It is quite simple to use the display, and you could switch between basic functions by touching the button. In addition, the camera mount does not need any splicing and is also extremely easy to use. Could be used for towing and hitching easily. Warn the driver distance and direction of object. Provide a crystal and bug colour monitor with fixed picture Offer 3 zones of detection. With this model of AUTO-VOX, you would easily bind a mirror to the current one without applying different types of bracket. In addition, wireless transmitter would make it simpler to use than long and complex video cables. Based on environmental lighting condition, a LED light would turn on or off automatically. And you would drive easily in rainy conditions with the help of digital image processor and waterproof standard. By using the transmitter of AUTO-VOX, you do not have to charge the monitor with the battery of your vehicle. All that you need is only to connect the charger of the car with the cigarette lighter. Do not need to separately charge the monitor. Provide image with high quality. The picture sometimes has several small static. The transmitter is not so separate for storing. In general, when a driver is moving the car backwards, the monitor of this device would turn on immediately, and display the video synchronously from the backup camera. After that, the screen would be adjust back to the initial scenes after the reversing in standby mode. This set of kit includes satellite receiver, STB, camera, VCD, car DVD and other equipment for video. In addition, with a waterproof license mounting, you would use this device in even rainy or snowy conditions. Last but not least, the driver would get good images in high quality with a modern digital processor. Durable and effective to use. Provide images in high definition. Convenient for carrying and storing thanks to small size. Black screen without signal on standby mode. Pedestal is limited in motion. Just support system with 12-volt power. If you are looking for a suitable and effective model of backup camera for your car, the Hopkins 50002 is definitely one of the best choices in the market. As mentioned above, this device provides lots of useful features that make the process of reversing and moving backwards a car safer and easier in comparison with other similar models available. For example, you would see a picture in high quality with a color monitor in 3.5 inches. 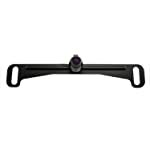 In addition, this backup camera mount does not need any splicing and is also simple simply to use. And lastly, it is rather simple to use the display, and you would switch between usual functions by touching the button. 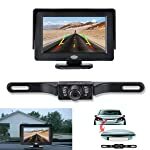 As we notice that this type of backup camera is good in most important features, which makes it an outstanding product amongst other models. Therefore, it is a good choice for you to take into consideration. 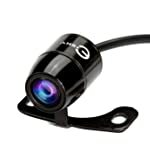 We hope that this buying guide has showed you a lot of useful information on different models of backup camera available in the market these days so that you would go for the most suitable one for your car easily.